Two of the nation's largest independent power producers are urging the Federal Energy Regulatory Commission to reject an Energy Department proposal even though the companies operate coal plants that stand to benefit if the rule is adopted. Houston-based Dynegy Inc. and Princeton, N.J.-based NRG Energy Inc. individually submitted comments to FERC that expand on the comments from an industry group they belong to, the Electric Power Supply Association. Together, the generators collectively own more than 13,000 megawatts of coal-fired generation that is poised to be insulated from the harsh realities of cheap shale gas and slack demand that have buffeted wholesale power markets in recent years. And while the companies acknowledge there are grid resilience and reliability issues that need to be addressed, they are clear in their comments that the proposal to allow cost recovery and a return on equity for plants with 90 days of fuel on site is deeply flawed. "Dynegy could potentially reap substantial benefits from the [Energy Department's] proposal," the company said in its comments. But "even from the perspective of a coal generator, the proposed rule should not be adopted because it would substantially, and potentially irreversibly, harm the nation's competitive electricity markets." Dynegy, which operates 9,500 megawatts of coal generation, mostly in PJM Interconnection and the Midcontinent Independent System Operator markets, notes in its comments that it's "well qualified to address the issue." An initial analysis by the company confirmed that most of its coal fleet would meet the 90-day on-site fuel supply requirement. And those plants that don't could add to their coal piles "given the incentive of guaranteed cost recovery." 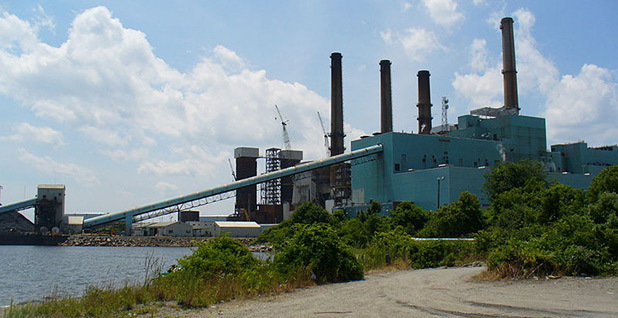 NRG, which operates more than 4,000 MW of coal-fueled generation in MISO and PJM, filed comments noting that it, too, opposes the proposed rule "despite the superficially attractive premise of rate-basing a substantial portion of our generation fleet, at enormous additional cost to ratepayers." Dynegy and NRG are two of five coal plant operators that stand to benefit most from the DOE proposal, according to an analysis by Energy Innovation and the Climate Policy Initiative. The nonprofit groups considered four scenarios for implementation of the proposed rule, estimating the total price tag could be $2.4 billion to $10.6 billion annually. The analysis breaks down estimated costs by region and payments that would be made to nuclear and coal plant operators. While the bulk of payments would go to nuclear plant operators, according to the report, payments to coal plant operators could range from $100 million to $3.5 billion. Of that, NRG and Dynegy could get almost half, or as much as $1.7 billion. Dynegy said its merchant coal fleet wouldn't be the only piece of its business that benefits from DOE's proposal. The company said the proposal could help its retail energy unit by providing full cost recovery and a return on investment on the plants that Dynegy uses to satisfy its retail supply obligations. "The rule could give Dynegy a significant pricing advantage over other retail providers" because it wouldn't need to rely on its retail rates to cover the costs of its power plants, said the filing to FERC. "Notwithstanding the significant potential financial upside ... Dynegy emphasizes that it remains opposed to the proposed rule, which amounts to a re-regulation of coal and nuclear facilities that would severely harm, and potentially represent a death blow to the competitive markets that the commission has worked hard to develop," the company said. While Dynegy and NRG agree that DOE's grid proposal isn't the answer, both companies argue that market reforms are needed. Dynegy, in particular, urged FERC to terminate the proceeding but continue to work with grid operators and the North American Electric Reliability Corp. on resiliency, reliability and price formation reforms already underway. NRG, meanwhile, said the proceeding initiated by the DOE proposal should be used to "refine, not abandon, wholesale energy markets." The company did agree with DOE that "urgent" reforms are needed in energy and capacity pricing, including the "harmonization" of state policy goals with wholesale markets.